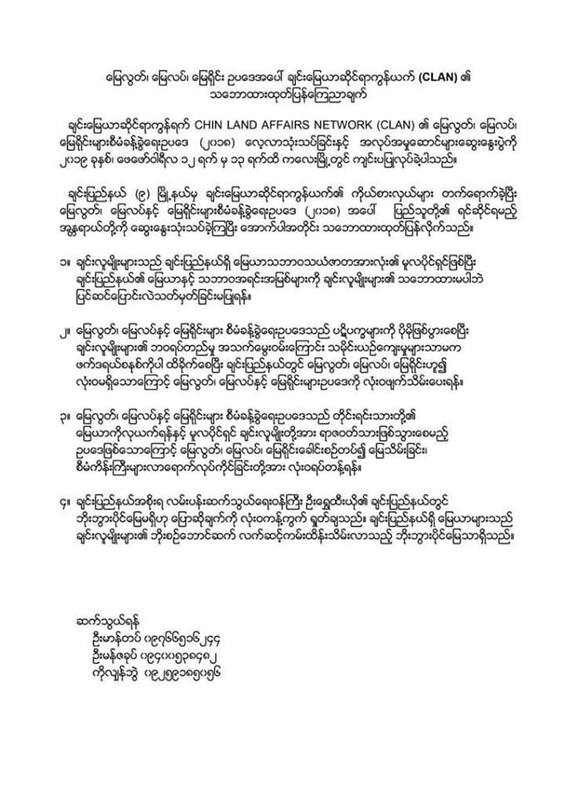 Chin Land Affairs Network (CLAN) released a statement on the Vacant, Fallow & Virgin Land Management Law (VFVL) after its executive members’ meeting and land law review workshop happened during 12-13 of February, 2019. 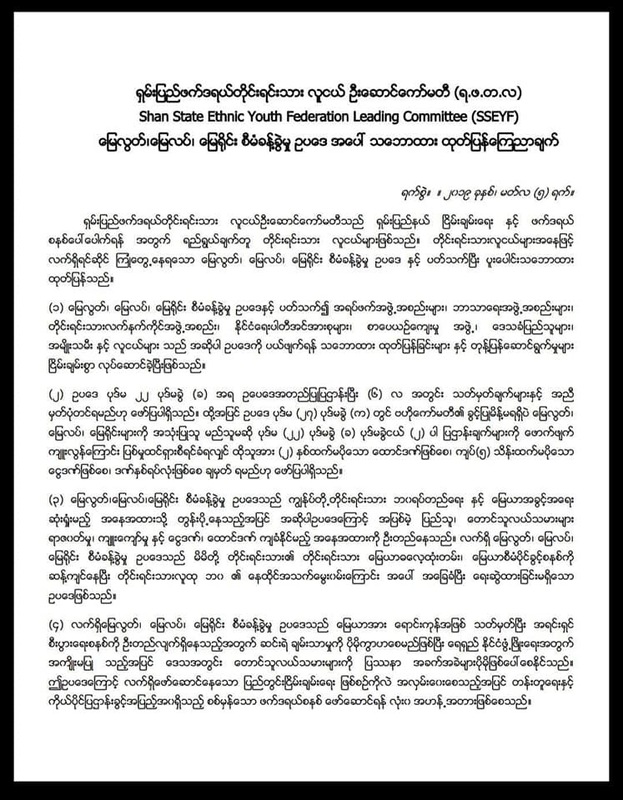 VFVL makes more conflicts to Chin peoples’ livelihoods, live makings, histories & cultures and is also undermining federal system, thus to be abolished. VFVL facilitates land grabbing from ethnic peoples and specifies the original owner of the land as criminals, thus to stop the land grabbing & large-scale projects under VFV label. Denounce the quote of U Shwe Htee Yo, Minister for Road & Transport, saying there’s no ancestral land in Chin State; because there are only ancestral land handed over generations in Chin State. New Mon State Party and Mon peoples released a statement after land law review workshop happened during 25-26 December, 2018. 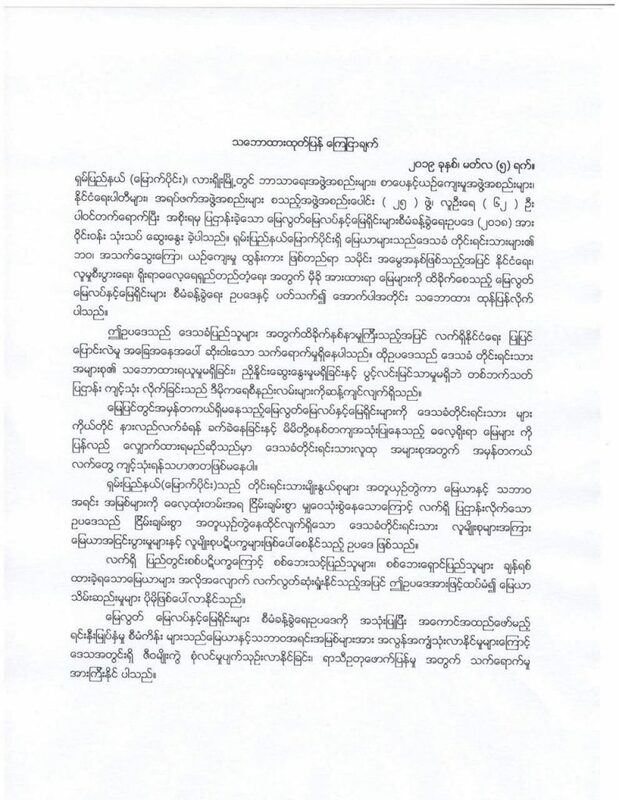 The statement highlights the VFVL undermines Mon customary land tenure practices; is not aligned with human rights norms, democracy norms & federal norms; is not supporting current peace process; and thus to be abolished. 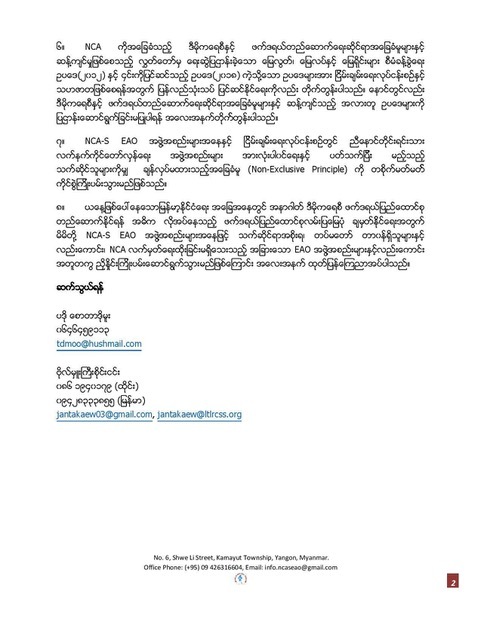 Land in Our Hands (LIOH) and Myanmar Alliance for Transparency & Accountability (MATA) jointly send the open letter to LIFT regarding its recently launched call for proposal “REAL DEV Programme”; today in 24 December 2018. On 14 December 2018, LIFT (Livelihoods and Food Security Trust Fund) has launched a REAL DEV programme that invites partner agencies to work with the Government on land reclamation and reallocation in Magway, to develop a replicable approach and framework for reallocating State land reclaimed from concessionary holders to the rural poor, landless, and others; according to its website and facebook page. Since the government adopted the Vacant, Fallow & Virgin Land Management Law (VFV law) in 2012, peoples from ethnic areas declared that they don’t have vacant, fallow & virgin land but the ancestral lands they have been living, using & managing for centuries. And many civil society organizations asked the government to abolish the VFV law. 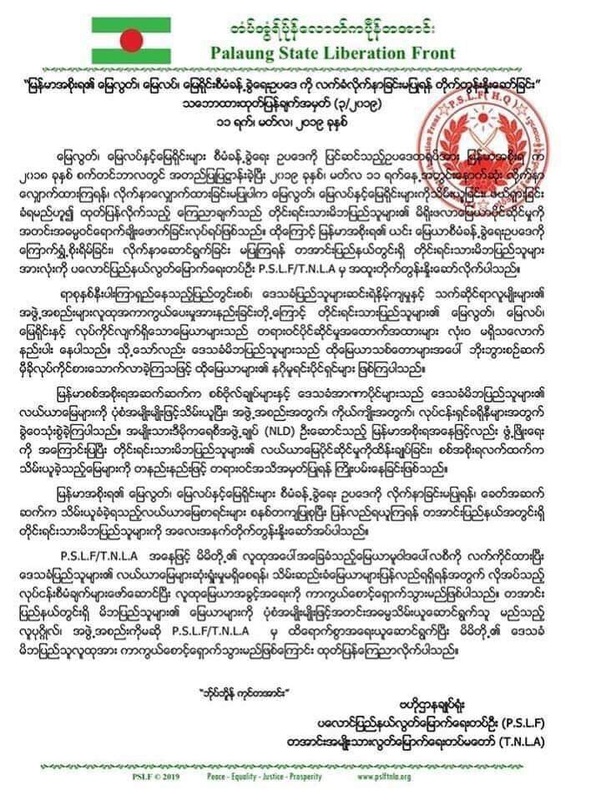 Although NLD government initiated to amend this law in 2017, it becomes worse – criminalizing the peoples defending their lands and setting the time for registering the lands. Land in Our Hands is continuously supporting for federal land government and customary practices; thus calling to abolish the VFV law. During May, LIOH released a statement at national level reckoning the voices from different states & regions. That workshop and statement is representing over 1,600 peoples and over 400 civil society organizations across the country. Despite these continuous public oppositions, the Government adopted the amendments to VFV in September 2018. Thus, LIOH launched the campaign against VFV law and also released a joint statement. The statement is endorsed by 346 local organizations. 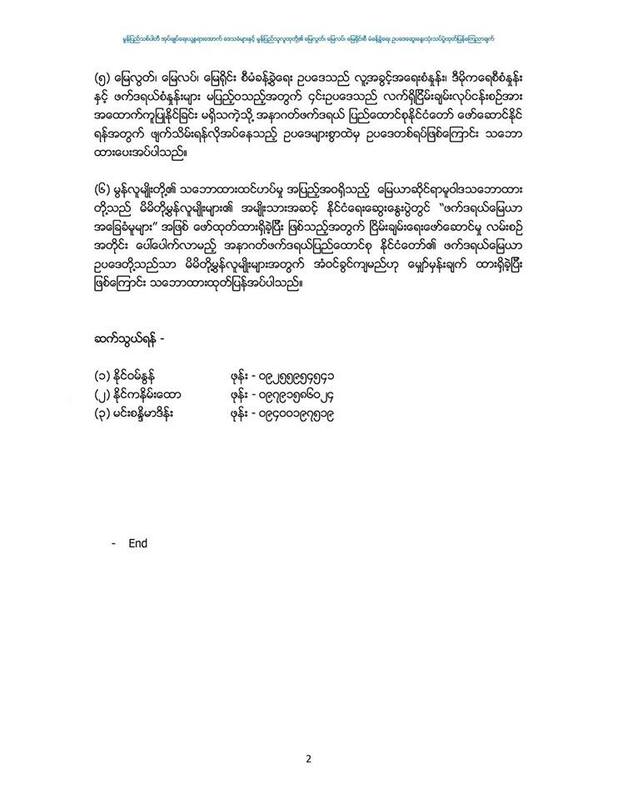 The international community is also supporting the movement of LIOH and issued the concern letter recently. At this fragile moment, LIFT called proposals for its programme above-mentioned. Although LIFT says “LIFT’s programme is relevant and responsible – perhaps even more so at this time than before”, it is lacking the political sensitivity around land rights and peace building process as wider impacts. 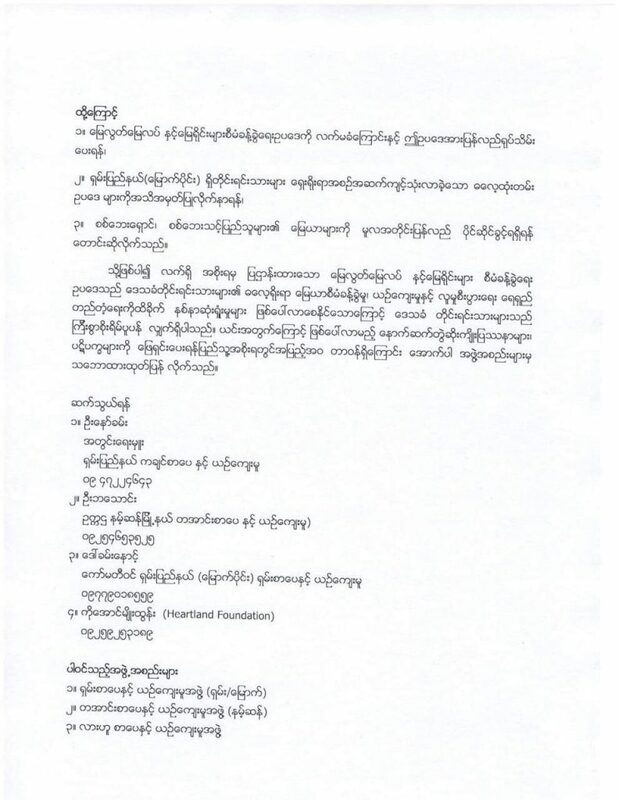 In this regards, LIOH & MATA prepared and sent an open letter to LIFT calling to suspend the call for proposals and reassess its operations in Myanmar in accordance with its 12 conflict sensitivity principles. 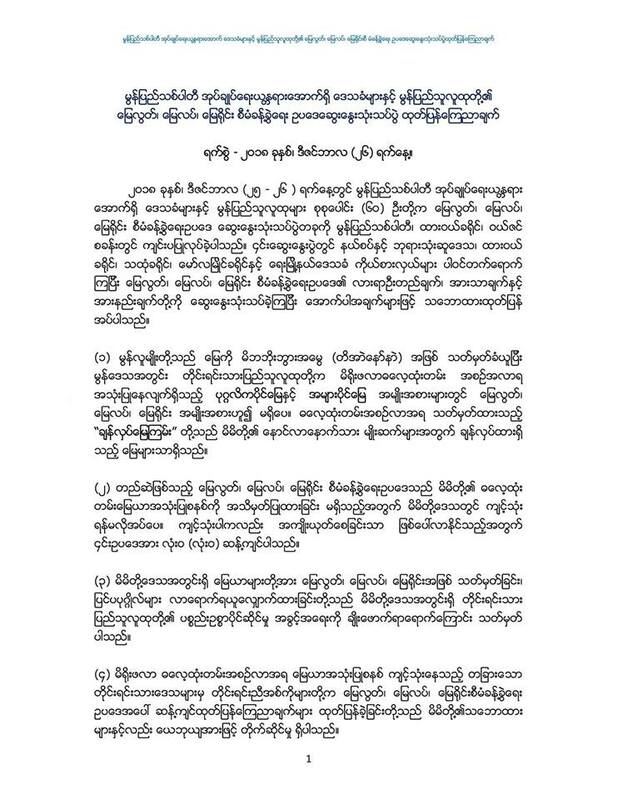 In December 2018, international community issued the statement of concern to express solidarity with grassroots campaign against VFV in Myanmar and called for petition. Please visit the official petition site or see the letter here.